Thank you all for your past support of LIVE MUSIC in rural Ohio, and we look forward to seeing each and every one of you at one of our future events!! What the heck is a log cabin concert, anyway? First of all, it is a concert, rather than a party. It is important to make this distinction. The fact that it takes place in a private home (the living room of a log cabin!) contributes to the intimacy and warmth of the occasion, from the perspective of both the artist and audience. Since we live in a rural area that has very few venues for live music, our cabin concert series provides a unique opportunity for our friends, family, neighbors, co-workers, and fellow music lovers to see, hear, and interact with world class musicians, singers, and songwriters. Because they take place in a private residence, the concerts are typically by invitation only, although feel free to bring along your friends. Reservations are suggested to make sure that we have adequate seating available. We ask for a voluntary donation (twenty dollars in advance or twenty five dollars at the door is usually suggested). All of the money collected goes directly to the artists. There will also typically be merchandise available from the guest artists (CDs, t-shirts, etc.). We ask that guests bring along a snack or dessert to share during intermission. We furnish coffee, tea, and bottled water. Should you wish to consume alcoholic beverages, feel free to bring your own. Dress is casual- what you would wear to any concert. Please, no smoking on the premises. What do we get out of this? We get to listen to wonderful music in our living room and share that with our friends!! We all get to experience something that can’t be found on any cable TV or Clear Channel radio station, something that won’t soon be forgotten. ​We hope that we will have the great pleasure of your company at our next concert!! Hemisphere Coffee Roasters is on a mission: to assist coffee growing countries by purchasing coffee directly from farmers who will be a "conduit of blessing" to their entire communities. We are proud to serve Hemisphere Coffee at all our concerts. 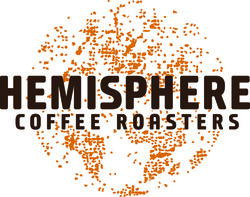 Please check out their website and see for yourself why we believe that Hemisphere is the best coffee in the world. Better still, stop by their store in Mechanicsburg, Ohio and try a cup of delicious Hemisphere coffee. ​please LIKE us on facebook!! !